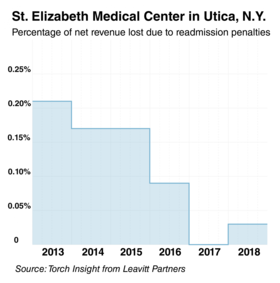 At St. Elizabeth Medical Center in Utica, N.Y., the CMS' Hospital Readmissions Reduction Program was an expensive wake-up call to hospital leaders that they needed to do a better job of preventing patients from making a U-turn after being discharged. The hospital was hit with a $397,153 penalty in 2013, the first year the CMS issued penalties under the program, according to a data analysis by Leavitt Partners. The medical center's revenue was $197 million that year. Health policy experts say it's time to assess how the readmissions penalty program is impacting outcomes overall. "Without a doubt, the penalty program wakes you up and makes you look at" readmissions, said Dr. Eric Yoss, senior vice president of quality at Mohawk Valley Health System, which operates St. Elizabeth. "If you previously wanted to ignore it, you don't anymore." The health system has set up several quality-improvement efforts to try to drive down readmission rates in response to the CMS program. For example, all inpatients are now screened for risk factors that might signal they are vulnerable to a readmission. Those high-risk patients are set up with navigators, who call them after discharge to ensure they have a follow-up appointment with their primary-care provider. And if they don't, the health system sets up a visit at one of its outpatient centers within 10 days after discharge. The efforts have worked. 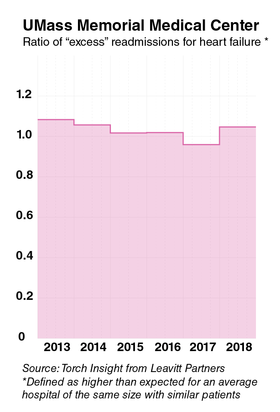 The financial penalty at St. Elizabeth has dropped from 0.21% of net revenue in 2013 to 0.03% in 2018. The hospital's penalty will be $52,003 in 2018, according to Leavitt Partners. "It is driving us to avoid readmissions and there is a quality component to it as well," Yoss said. "We should be doing this anyway." 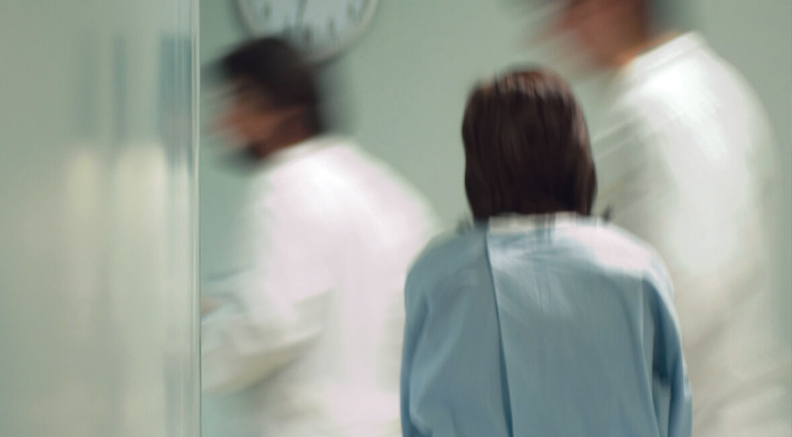 Overall, the penalty program, which was established under the Affordable Care Act, has effectively motivated hospitals to change wasteful care practices and better manage populations. Readmissions have fallen as hospitals respond to penalties that can dock up to 3% of their Medicare payments. But the tactics hospitals have adopted to avoid a penalty might not always be in the best interest of patients. As hospitals reduced readmissions for heart failure patients, their mortality rates increased, according to a recent JAMA study. Health policy experts have pointed to flaws in the study's methodology, but say it's an important insight into how the financial incentives from the readmissions program can influence hospital behavior, and not always for the better. "This program has gotten hospitals to focus on readmissions and a lot less on everything else," said Dr. Ashish Jha, a professor of health policy at the Harvard School of Public Health. "The big penalty for readmission rates has meant hospitals put less attention on reducing complications and on reducing mortality." To a degree, the CMS' own math has placed a higher value on reducing readmissions than improving mortality rates. Under the Hospital Value-Based Purchasing program, high mortality numbers cost a hospital 0.2% of its Medicare payments, compared with a 3% hit under the readmissions penalty program, according to a February 2017 study in JAMA Cardiology. "That doesn't strike me as sensible," Jha said. 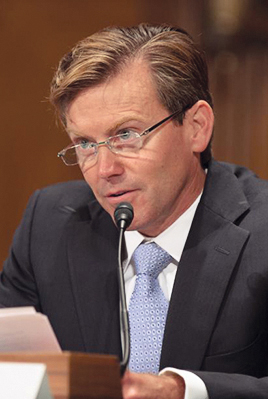 Readmission rates also aren't the best indicator of quality of care, argued Dr. Peter Pronovost, director of the Armstrong Institute for Patient Safety and Quality at Johns Hopkins Medicine. Some readmissions aren't avoidable and some may be beyond the hospital's control, especially since patient adherence to a treatment plan also has an impact. Physicians can't always control if a patient actually picks up and takes their medication. "I don't think we have approached this measure with the nuance it probably entails," Pronovost said. "It presents some signal about quality but there are some non-quality signals as well." In a statement in response to the JAMA study, the CMS said, it "continuously monitors the impact of the measures used in our programs, including input from peer-reviewed research and other sources. Studies like this are important inputs as we continuously assess our programs." Heart failure, which is the most common Medicare readmission, is an incredibly complex condition to treat. And for advanced heart failure patients, a readmission is sometimes unavoidable, said Jay Cyr, senior vice president of surgical services at UMass Memorial Medical Center in Worcester. "These people are very sick—keeping them out of the hospital is a challenge, and sometimes we can't do that despite our best efforts," he said. Given the challenges of caring for heart failure patients, it's plausible that tactics hospitals adopt to avoid readmissions have a negative impact on patients' survival rates, said Jason Hockenberry, an associate professor of health policy and management at Emory University who has studied the CMS readmissions program. Hospitals "change care processes, and they change how they handle patients, which could lead to some fraction of the patient population having their life shortened," Hockenberry said. That's not to say hospitals turn patients away if they need care, Hockenberry said. But interventions made to help patients avoid a readmission might influence whether or not they decide to return to the hospital or wait to get an appointment with their specialist. Low health literacy among patients might lead to difficulty both in understanding discharge instructions and compliance with subsequent self-care protocols, he said. "We still don't understand what these incentives are doing to care processes, and how they might be impacting patients," he said. "Are they satisfied with their care? That is unclear at this point." The CMS also adopted the program across all acute-care hospitals without much insight or evidence into how it will impact hospitals. "We have no idea whether reducing readmissions is going to have an impact on health outcomes," Hockenberry said. Dr. Karen Joynt, an assistant professor of medicine at Washington University School of Medicine, rejected the notion that the CMS program might be having a negative impact on patient care. "It doesn't kill people to try to improve the discharge process," she said. Even with the positive statistical results the program has shown in driving down readmissions, Johns Hopkins' Pronovost said the JAMA study warrants more follow-up in terms of the broader impact on outcomes. "There was a lot of good by increasing attention on care coordination and thinking about patients when they leave the hospital," he said. "But now we have a signal that there are unintended consequences, so I think (policymakers and researchers) really need to come together and talk about why this might be happening and what should we be doing going forward with this measure." Correction: An earlier version of this story misnamed the Hospital Readmissions Reduction Program. This error has been corrected.